The third year of medical school is definitely an interesting one. You leave the classroom and enter the big bad world of medicine, and you quickly realize that much of what you’ve learned is for naught. You also realize that the medical student next to you could become your best friend, or the bane of your existence — or fall anywhere along that spectrum. Here is a list of the medical students you might encounter. This list is in no specific order, and in no way complete. And for the sake of simplicity, all of the medical students listed will be male. Sorry ladies. 1. The new best friend. It’s your first day on a new rotation, and you groan when you see the other students listed with you. You barely recognize any of the names. How could you have gone through two years of school together and never talked? You fear for the worst. But your fear quickly turns into unbridled joy. This mystery man is both a scholar and a gentleman. He laughs at all your jokes, and sneaks out of the hospital early with you. You both help each other whenever possible, and by the end of the rotation, you’re planning to grab drinks together after work. You wonder where this person has been your whole life. Sadly, like all things, this rotation will end. And your new best-friendship may end as well. But it was great while it lasted. 2. The Houdini. The Houdini is, for lack of a better word, a magician. His patients are always the easiest to take care of, his resident never makes him do scutwork, and he manages to leave an hour before the rest of you. He shows up late half the time, but no one ever seems to notice. In fact, the attendings love this medical student and praise him for his efficiency. As his companion, you find yourself envious — you wish you had his skill, but you know you’d be caught if you tried any of his stunts. You try to make yourself feel better by saying, “At least I’m getting more out of this rotation,” but deep down, you know that’s a lie. 3. The future _____. This medical student is really itching to go into the field in which you are currently rotating. They ask a ton of extra questions, beg the attending to go into detail on every disease, and try to follow the residents around as much as possible. They also have a never-ending optimism about them that quickly grows tiring. They may even ask for extra assignments, not realizing that all of the students will get extra work, not just them. And when the students are sitting around in their daily gripe-fest, complaining about their days, they’ll say something like “Oh c’mon guys- it’s actually pretty cool.” I’ll be honest, I’ve acted like this before. To a small extent. But c’mon guys- surgery is actually pretty cool. 4. The gunner. 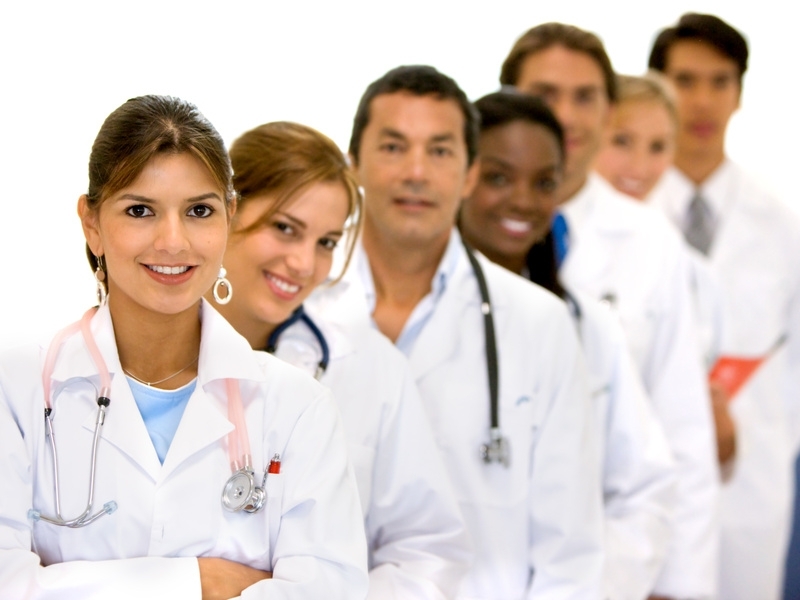 Now, the word gunner is frequently used in the medical student community. It is meant to describe a student who tries to advance himself at the expense of others. It is also used to portray those who study very hard by themselves, or basically any student who’s smart but kind of a jerk. The word is adaptable. On the floors, a gunner is the guy who looked up the vital signs for every patient on the service, and when you can’t remember your patients’, he says them out loud. He’s the guy who manages to scrub into all the cool surgeries, often by following around the attending physician non-stop. He’s the guy who refuses to go home when the residents dismiss everyone, and asks to do extra menial tasks. And when you ask him what books he’s using to study, he’ll proudly tell you how he “read Blueprints and First Aid and Kaplan and Pretest and I only did the UWorld questions twice, do you think that’s enough?” He’s basically begging for someone to trip him while he walks down the hallway. The only advantage of having a gunner on the team is that it unites the other medical students — it’s almost like how having a mean coach can pull a sports team together. 5. The med student from another school. Oftentimes, hospitals will be staffed by students from more than one school. It could be another local school in the area, or a foreign school that sends its kids back to the US for their clinical years. We often assume these “other” med students are lazy and less intelligent. I think we do this as a defense mechanism, mostly. I’ve noticed three distinct tiers of these “other” students. The first tier has the guys that you wish went to your school. You get along great, you help each other out, and you share stories about what each school is like. The second tier is just the “average” medical students. You still can’t remember their names, even though you’ve been together for 6 weeks on the same rotation. You don’t eat lunch together, and during lectures, one school sits in the front, one in the back. But there’s no animosity. The third tier is where the stereotype comes from. Like any medical school, some of the students will be lazier and less motivated than others. The difference is that in our heads, we magnify our experiences with the third tier students, and ignore all the first tier students we meet. No one ever said medical students were mature. 6. The actual best friend. Occasionally. the stars align, and you find that you’ve been paired on the same rotation with your best friend. You do a jumping high-five with them, as all best friends do, and get ready for your first day. And it’s great. You start having dreams about opening up a practice with them, maybe moving next door to each other so your kids can go to the same schools. But like living with your best friend in college, the little things start to bother you a bit. Like how he always shows up ten minutes later than you. Or how he never seems to study, but he knows all the answers when the Attendings pimp you. And why is he getting so close to the other medical students? They aren’t his best friend! The six weeks together ends, and you guys spend a week apart, regaining your sanity. Afterwards, you can start being friends again, but you realize that going out at night with someone is definitely not the same as spending 80 hours a week in a hospital together. 7. The vacationer. This person is quite similar to “The Houdini.” A pre-Houdini, if you will. He’s the guy who organized his schedule based solely on how little he would be able to work. He takes electives like radiology and dermatology, and you see pictures on Facebook of him partying it up in Vegas during the week. Meanwhile, you’re on some specialty surgery elective, and you just got home after a 14-hour day from the hospital. You take solace in the fact that “during residency, he’ll be in for a real shock when he sees how hard doctors have to work!” Then on Match Day, you find out that he’s matched emergency medicine in some cushy suburb. You realize he’s won the war.